The $10 million investment will add close to 20,000 additional square feet to the more than 2.5 million square-foot campus. 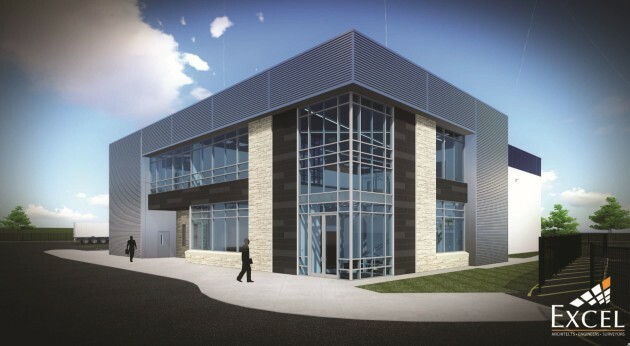 MERCURY Marine has plans to substantially expand its global headquarters in Fond du Lac with the construction of a new NVH (Noise, Vibration, Harshness) facility. The two-story facility’s first chamber and the office space is scheduled to be completed by October 2018, while the second chamber is targeted to be completed by the end of the year. The $10 million investment will add close to 20,000 additional square feet to the more than 2.5 million square-foot campus. With this latest expansion, Mercury has now invested more than $800 million since 2009 in expansion and R&D. NVH is the engineering practice of studying noise, vibration and harshness characteristics; these are integral to the boating experience, ensuring the quietest and most peaceful engine for the consumer. The new technical centre will contain two marine-specific hemi-anechoic chambers, structural dynamic testing bays, listening rooms, offices and workspaces. “We made a commitment to the community and the marine industry in 2009 that we would grow and invest in the company and we have more than exceeded those commitments,” said Reid. “We will continue to delight boaters with world-class engines and continue to invest in the business. This new facility is another example of our commitment to building the most refined and reliable engines in the marine industry.